As we look forward to two weeks on the terre battue, the questions that are most on our minds. 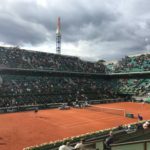 Looking back on a few days at Roland Garros. 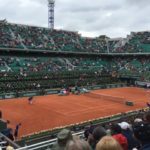 A breakdown of how Anusha spent day 1 at Roland Garros. 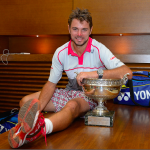 Reflecting on the winners of this year’s French Open. Andrew Burton shares observations from the women’s Roland Garros final contested between Maria Sharapova and Simona Halep. Sharapova and Halep set up an intriguing final and the mixed doubles champions are crowned. Petkovic impresses, Andy Roddick live-tweets a Monfils match, and more. Bouchard reaches the semis, Nadal turns 28, and more. 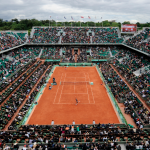 Amy and Jeff recap the first week of Roland Garros, look at the quarterfinal match-ups, and make predictions for the rest of the tournament.